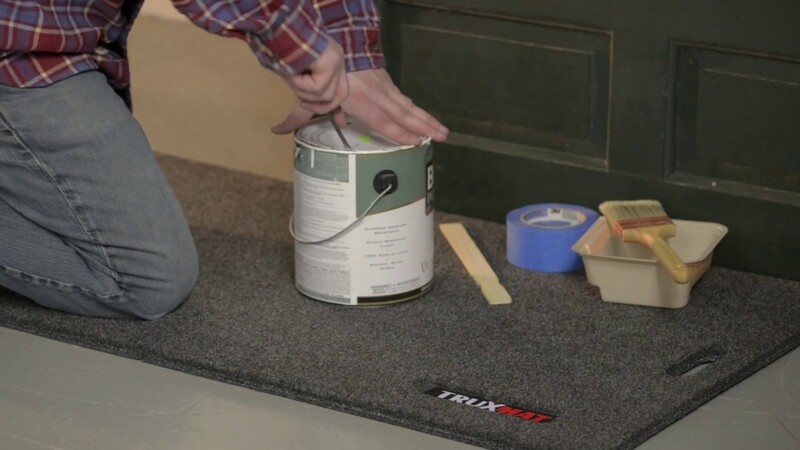 The Truxmat utility mat is great for your garage, boat, RV, home or even your garden. 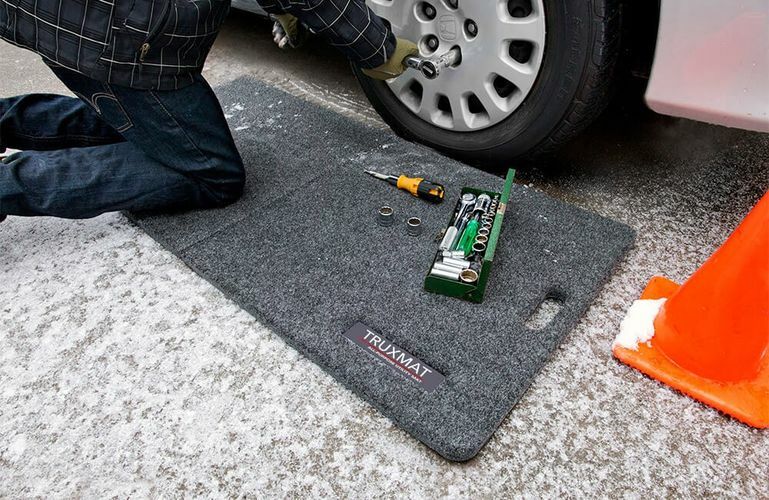 The ideal racetrack mat or mechanics work mat. 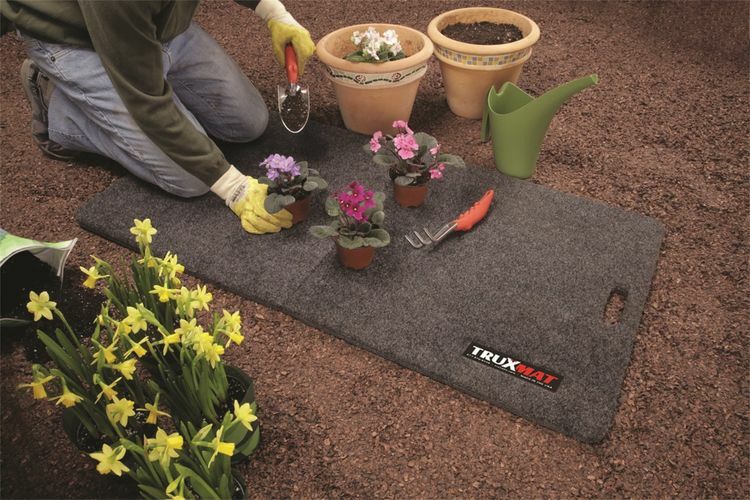 This comfortable 2' x 4' foldable mat has a 3/4” thick plush, foam pad. Made with 100% polypropylene fibers. Excellent product. Good price. Very happy with my purchase and would buy again.